It is campaign season in the United Nations, and not just for the non-permanent seats of the Security Council (keep an eye on our Candidate Watch for more information on that). The African Union, as well as Japan and India, have lately called for an extension of the number of permanent members on the Council, suggesting that they deserve a privileged seat and veto-powers. During the 26th General Assembly of the African Union, which took place on January -31, the outgoing chairman of the AU – Zimbabwean President Robert Mugabe – took the opportunity to reiterate the continent’s claims for permanent seats on the Security Council. His demand that the continent be given at least two permanent seats were met with applause and standing ovations by the assembled politicians, expressing the frustration of a continent that is often the target of UNSC Resolutions, but with a minimal say in passing them. Africa is also the continent of 29% of the United Nations’ member states, making the lack of a permanent seat an issue of the representativeness of the Council. 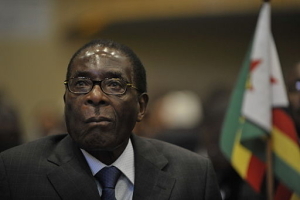 If the United Nations fails to reform the Security Council, Mugabe warned of a mass exodus of African nations from the United Nations, claiming that the countries would not tolerate being unequally treated as “artificial members”. Japan has also stepped up its campaign for a permanent seat, after taking a non-permanent seat in January. Japan intends to use its non-permanent seat to forward proposals for Security Council reforms, of which one would be the inclusion of Japan as a permanent member. The island country cites its 70 years of peace and pacifism, as well as its significant financial contribution to the United Nations during the years, as reasons for supporting that it should gain more influence. India has also made repeated calls for reform and a permanent seat on the Council – owing to its huge population, growing economy, and being an example of an Asian democracy. However, the long-running conflict with Pakistan over the region of Kashmir has been seen as an impediment to India’s calls. Resolving that issue would likely improve India’s chances and diplomatic clout in the United Nations. In 2005, the then-Secretary General of the UN Kofi Annan undertook an initiative to launch formal negotiations on expanding the Council. but Such attempts have repeatedly failed, as the current veto-wielding powers show little enthusiasm to expand the privilege, and they hold different opinions as for to which countries this privilege should be expanded.